We have come a long way since gender equality was first made an issue. Doors have been opened for women to take up any career they choose, be it engineering or running an entire country. However, it is still very apparent that most women don’t actually excel in fields that are traditionally dominated by men. A good example is the tech industry. Very few women actually do well in this industry, and for a time I didn’t know why. So, I created a poll on Facebook, asking people what the reason was. 47% said it was because of confidence issues, and the rest said the society was to blame. In both reasons, there is an element of women either not taking responsibility for their own success, or being too afraid to even try. Let me break it down for you. The society is made up of both men and women, not just one or the other. When we blame society, we are blaming both men and women who have it all twisted. It is most unfortunate that in this day and age we still find people who think that women are incompetent when it comes to technology. Some men make it their mission in life to demean female developers (no lie, I actually have a true story about this, but that’s for another day). There are also some women who still think ALL men do not believe in the capabilities of women. Such women tend to be defensive, even when there is no need to be. Hence, when we blame society, we should remember that it is both men and women who are to blame. I know some who would rather pay a man to do their assignments for them than try to do them themselves. This is the worst kind of low self-esteem. One girl once told me that she was afraid to even try to code her own project because she didn’t trust herself enough to do the right thing. Talk about absurd, right? Okay, how about all those other women who are confident in their skills? More than two-thirds of these women do not tell people what they do. It’s as if they are not proud of it. Very few actually go out of their way to do a little self-promotion and tell the world that they are great web developers or programmers or whatever. From my own interactions with people in the tech industry, I have found that men are generally more willing to invest their time in a little self-promotion. Therefore, it should come as no surprise when men get more jobs in the tech industry. They are just more visible online than most women in the same field. The question to then ask is: What do we do about it? This is a quote from Chimamanda Ngozi Adichie, from her TEDx Euston talk entitled We Should All Be Feminists. This may sound obvious, but very few people actually understand and live by this. Understanding and living like we know that anyone, regardless of gender, can excel in tech can help us realize a positive growth in the number of successful women in tech. Focus more on your abilities and interests, than on what people will say because you are a woman. In the same talk, Chimamanda says, “There are many opportunities for women today because of changes in policy, law. But what matters more is our attitude, our mindset, what we believe and value about gender.” What if (in raising children) we focus on ability and interest instead of gender? Please understand this doesn’t mean get rid of gender totally, or that you shouldn’t be aware of it, but that you make a conscious effort not to let gender be the defining factor of whether or not you are able to do something. If you’re interested in it, and you are capable of doing it, then by all means, DO IT! Do not pretend to be someone you’re not so as to fit in. Some of us have the misconception that to prove ourselves to men, we must dress like them, walk like them, talk like them, essentially change who we are. Chimamanda wore an ugly masculine suit the first time she taught a writing class, and she regrets it because she feels if she had just worn what she wanted, what she was most comfortable in, she would have taught better. Don’t change who you are because you want to prove a point. Pretending can only go for so long before it becomes burdensome. 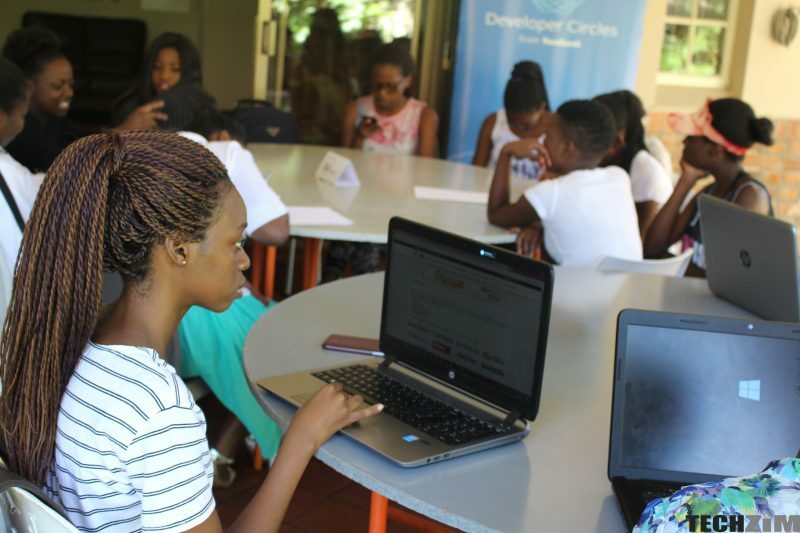 When I was delivering this talk at the Women in Tech event hosted by the Computer Society of Zimbabwe, one lady raised a very interesting point. Most times, when a lady acts like a lady in any scientific field – for instance in engineering – she is stereotyped as the snob of the industry. She gave the example of having manicured hands and dressing girly. My response to that was she shouldn’t have to go all tomboy to prove herself. She could still get her manicure and wear her skirt, but she had to make sure that when it was time to get her hands dirty she wouldn’t fuss about it. The bottom line here is: Be comfortable in who you are, in ALL of you, and you will be surprised by how the rest of the world adjusts. Allow yourself to move away from being the victim of gender inequality. Now this can make a whole lot of us angry, especially because being petty is fun. But you need to always think about your ultimate goal. There are some questions that women still deal with today in the tech industry, pathetic questions such as “Are you married?” or “Do you have children?” These questions are annoying and can be a little infuriating at times. After all, what do marriage and kids have to do with code or engineering? What you need to understand though, is that sometimes, these questions come from experiences with ladies who used marriage and kids as excuses for substandard work. The reality is, you may never know why they ask, and you have very little power on what they ask, but you have all the power on how you respond. You can choose to be annoyed, and you will be justified, but that won’t help your situation much. Or you could choose to simply answer the question, and prove your worth so that all the other women don’t have to deal with these things. Of course, in cases of misconduct or harassment, you should speak out. A very great article, very educative. Thank you @taraz. I’m glad you enjoyed it. Thank you for a balanced and well thought out article. As a father with a daughter I particularly like the last quote about what your father used to tell you, “the world owes you nothing”. It is something I try instill in my daughter. I find there is too much emotion in the whole gender debate without considering the practical aspects. I am impressed with your article is an understatement. I want to share as a man something women might not be aware of. I am surprised that women feel men are more confident of their skills and always willing to show them off. Perhaps some men are, but not all of us are as confident as women think we are. There definitely men who strut their stuff and they are the most noticeable, the rest of us are working 5-9 jobs with a boss. @Digger I am truly humbled by your comment. I’m glad you’re taking an active role in building your daughter up. It saddens me that women still get discriminated against in the tech industry, or any industry for that matter. Most of the times, these women are excellent at what they do, but feel intimidated because of the unequal treatment they are bound to get from other people in the industry. My message in this article was to try and shake them up a little and give a few pointers on how they can combat the situation. Hi Tapiwanashe, I’m impressed. DM me and I will tell you more about Women in Tech, from coder, systems analysis, Account Exec, consultant, startup software business still running after 25 years. This to inspire young women IT graduates out there.